State Farm has been the largest car insurance provider in the U.S. since 1942. And according to industry estimates, about 25 percent of all cars in the country today are being covered by State Farm. Read through this State Farm review and then enter your ZIP code in the box on the top of this page to start shopping for car insurance today! There are a couple of issues that a prospective client may find upsetting about State Farm. First, there were accusations that the company committed racial and sexual discrimination back in the 1970s and 1980s. The allegations were made based on the hiring practices of the company during those periods. Some people also claimed that their insurance applications at the time were denied because of the company’s discriminatory policies. The company has since addressed this issue. As a matter of fact, it is now recognized as one of the biggest companies that have a well-diversified workplace. The second issue about State Farm is the company’s tendency to skip states where the insurance market is being regulated. Even if the company has been operating in a particular area for years, it will decide to pull out from that place as soon as state laws begin to regulate insurance rates. State Farm simply does not want to be exposed to unnecessary risks that may be brought about by insurance regulation. To date, the company has pulled out of 17 states, starting with New Jersey back in 2001 and then Texas not long after. Skipping states can pose problems for current clients because once State Farm Car Insurance leaves a particular market, plan holders need to look for new car insurance providers that service the area vacated by the company. Even so, these complaints have failed to bring down the company. 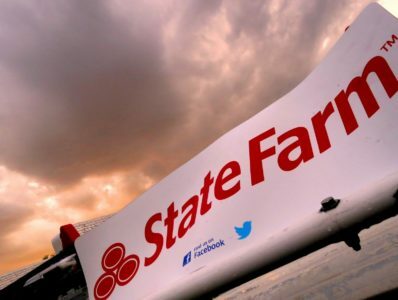 As mentioned earlier, State Farm remains to be a big player in the entire insurance industry and not just in auto coverage. Indeed, State Farm has its own strengths and weaknesses. So, before you buy a policy, it is important that you get quotes from different auto insurance providers and compare their product features. Compare your State Farm auto insurance quotes online with quotes from other top companies with our FREE car insurance tool! Enter your ZIP code at the bottom of the page to start! I have been a long time State Farm customer. Overall, I would have to say it has been a great experience. I feel like they have exceptional customer service and competitive rates. However, I do feel that State Farm doesn’t always look for ways to save. Being a long-time customer, I sometimes think they get comfortable with giving me the same rate knowing that it is very likely that I leave them. Recently, I had a road hazard issue which is covered under my SF policy. It took over an hour of talking on the phone and giving information before SF sent a truck out to help me. Though I did get the service eventually, SF should have sent someone out immediately THEN gathered information from me. I was stuck outdoors with a dying cell phone battery and having to make more than one call to different parties to get the help I needed. This is unacceptable.